It's the end of another week, which means it's time for And finally — our round-up of the best rumours and tidbits from the past seven days. This week, we've heard whispers about a future version of Amazon's Echo, collected an update on Rhythm's Dreem, and saw Apple make links with a homebuilder and a smart blood pressure monitor. Read on for the bits and bobs that didn't make it into our dedicated news section. Alexa, can you get the phone? 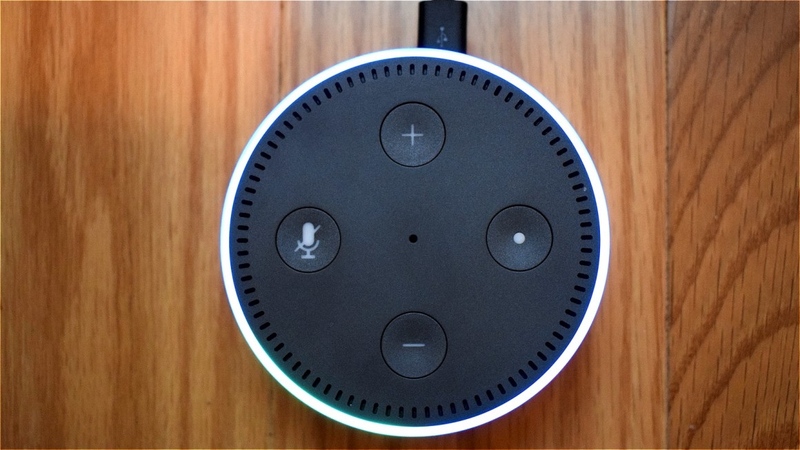 Amazon's future Alexa-powered devices could have the ability to make phone calls. According to Recode, the retail giant is looking to launch new hardware later this year which could sync up with other Alexa devices for use as an intercom. The report indicates that Amazon is currently testing the devices internally, with an announcement expected in the coming months. Let's just hope people find the Alexa calls more useful than the company's last phone-related effort, the Amazon Fire Phone. When we last covered Rythm's Dreem — a wearable device which vows to improve your sleep — the company was focusing on a limited release to further improve its design. After catching up with the team at London's Wearable Tech Show this week, the company noted that a mass market launch of a refined device is dropping this summer, and coming after the company raised around €20m through private investors. Impressive stuff, and one that we look forward to invading our sleep later this year. Just in case you were in the market for a custom built house, homebuilder WeberHaus has announced that it will soon offer its pre-fabricated homes with Apple's HomeKit platform — something which is a first for the European scene. This essentially means that people purchasing a house through the builder will be able to integrate a smart home package (involving things like smart plugs and lighting) that will be controllable through iPhones, iPads and Siri. The rest of us will have to make do with shouting at Alexa to turn the lights on. Not satisfied with bringing the light and life to your new home, Apple has also started selling a wireless cuff which allows users to monitor their blood pressure through the Apple Watch, iPhone and iPad. So why is this relevant? Well, the QardioArm happens to be FDA-approved, meaning that it's considered to be accurate enough for medical use — unlike many biometric measurement technologies which have been found to be off the mark. So there you have it, if it's good enough for the FDA, it's apparently good enough for the folks over at Apple.